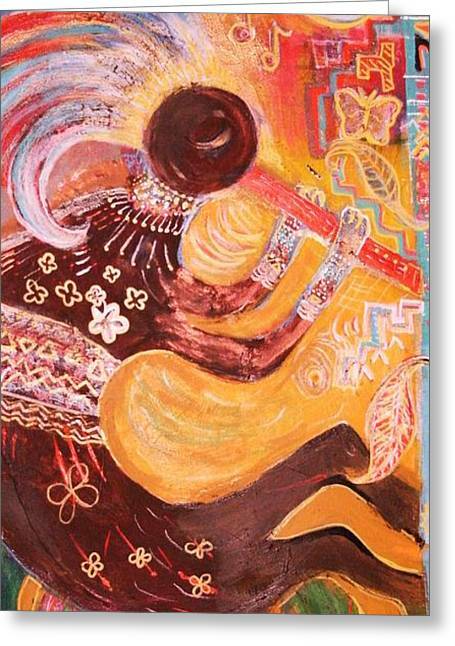 Kokopelli Jazz is a mixed media by Anne-Elizabeth Whiteway which was uploaded on January 12th, 2010. Kokopelli Jazz is painted with acrylic paint and archival pens. By archival I am referring to pens whose ink will not fade. In brief, he was (is) a Southwestern legendary figure. He is symbolic of many things. I always like viewing your Kokopelli guys....love the detail and colors on this one ...nice work Anne! Against beautfiul and a treat to the eyes!!!!! Thank you all for your favorable and interesting comments. I never did "get around" to photographing this again. It is a bit crooked. Thank you very much. I enjoyed painting this SO much. My favorite Kokopelli! Beautiful work, Anne! You are clever with your use of Kokopelli and nice color. .. and thank you for visiting my site. I appreciate your encouraging comments. Excellen!! love the colors and the composition..
great style,full of life and energy! Hello Anne and thank you for your recent comments on my Eiffel Tower. I really like this style you have in this piece. Every time I look at it, I see something new. 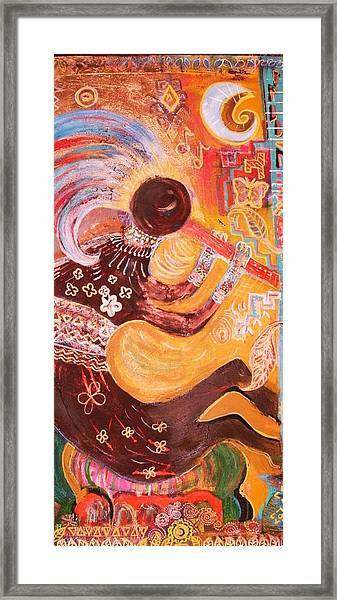 Again a beautiful kokopelli painting Ann- Chris. YES he is. And I need to post this straight. IT is a bit crooked. Oh well, this is another thing for my to-do list. Thanks for the comments. love. eyes closed........he's really into his jazz! Beautiful work. I am excited to see your newest southestern painting. Hi Anne, thanks for the recent comments. This piece is wonderful!!! Kool painting with hot colors!